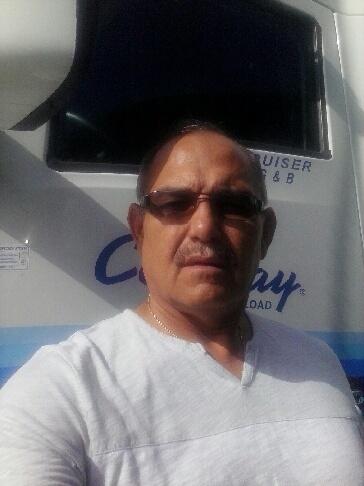 Gerardo "Jerry" Godinez is a professional driver for Con-way Truckload. Jerry prides himself on maintaining a healthy lifestyle while on the road. We wanted to pick his brain about how he stays fit and where he finds inspiration. Q: How long have you driven? A: Since 1998. About 17 years. Q: How do you maintain a healthy lifestyle on the road? A: Believe it or not, I eat about 6-7 meals a day and drink a gallon of water a day. Eat carbs in the morning like brown rice. I have a bunch of friends that are body builders and used to lift weights a lot. Each meal consist about 42 grams of protein and I exercise 5 days a week for 30 min. I focus on different body parts each day. When I am working on my chest – do like super sets. Super sets include bench press, slice, incline and decline and you do one set right after the other about 67 reps. After each super set I only rest about 30 seconds in between. I finish all four of them, which helps my cardio and keeps my heart beat up. Whenever I can I stop at a truck stop I park as far away as possible from the door so I can walk Try to eat the healthy fats like avocado, and I don’t count calories and make sure I eat complex carbs and not simple carbs. Simple gives you rush and then crash. Complex carb examples would be like yams, brown rice and oatmeal etc. those are my staples and in the morning I have eggs, the whole egg and oatmeal and wheat toast. My wife cooks portions and I keep them in the fridge. My wife has been a great help in helping me stay healthy. Q: Are there any resources that you recommend? Like? Share with other drivers? A: I’ve seen some guys, the biggest guys I see are always sitting down and looking at the computer. I’ve never been on that it, most of my information is trial and error and experience and reading about it. (Knowing people) It helps me tremendously and one of the most important things I’ve found out, I drink a gallon a water a day and that keeps your mind working right, not drinking water keeps you sluggish and water draws toxins out of your body. I drink coffee but water flushes everything out. About a month ago I saw a student of mine and he was complaining about his legs, they were swollen up and feet. Drinking water help reduces that, the more water you drink and the more water your body releases. Since you’re sitting down you need to drink more water. Q: What is more important, diet or exercise? A: Diet is more important, depending on what your goals are. Nutrition is the most important. You can do all the exercise you want but if you eat potato chips or Twinkies you’re not eating healthy. It’s not really hard to find healthy snacks, even McDonalds ask for salad and grilled chicken, and you might pay a little extra. No dressing I carry oil and vinegar. The biggest roadblock for people, is the cost when it comes to eating healthy, especially if they don’t carry their own food in the truck. You won’t take home any money if you eat out all the time. I try to stay away from buffets, salad and grilled chicken. A: What actually what sunk into my mind one day [is] I was in Laredo and I saw this young kid in his twenties, the guy went from his truck to the roads coach and he had to stop because he was out of breath. Do I want to end up like that? He had told me that he had a thyroid problem, I was talking to another drive he ordered five cheeseburgers and coke. Do you want to leave your wife and baby boy? The day I saw that I just thought I don’t want to be like that. A month later I saw his obituary in Laredo. He fell asleep on the couch and didn’t wake up. Family is more reason to take care of yourself. Q: Who do you look up to for health and fitness advice? A: I actually buy magazines and since I was in high school I always lift weights. Spend two three hours in the gyms and just learning from the guys. Just talking and they would kick me out thru one door and I would come in through the other. The guys kicked me out and I kept [coming] back in. They offered me a job to sweep and clean and [in] exchange I got a free membership. [When] driving a truck I usually do my exercise at the end of the day. I carry the protein powder from Walmart and that’s just as good as any as the most expensive powder. I’ll eat about four solid meals and maybe three protein shakes. Each scoop is like 25 grams so I do 2 scoops. I use the NutriBullet– I will make a shake put the two scoops of protein, oatmeal and fruit. The one thing that I’ve found out, a lot of drivers won’t stop to eat, when they do they pig out and after that they just want to sleep. If you’ve had nothing all day and then eat of course you’re going to fall sleep. I try to stay away from white rice because it’s a simple carb, so you get a rush and then crash. Feel sluggish. Q: Any advice for new drivers? A: Just try to eat good, driving a truck can wear you out. The perception is you only sleep, drive and eat. Just start with nutrition and keep with it. To be able to focus on the road you have to be healthy and drink lots of water. Water keeps you alert and mind working right. Where do you find fitness inspiration? 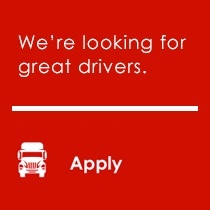 Do you have any tips to share with fellow drivers? Join the conversation on Facebook, www.Facebook.com/ConwayTruckload.